Decorating a home is very personal to the homeowner. In fact, it is so personal that it is said that the way your home is decorated says a lot about you and your personality. 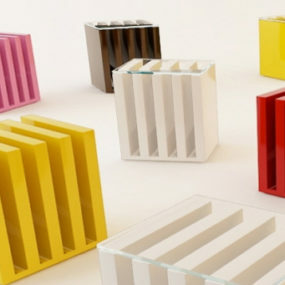 Therefore, you want to have pieces of furniture that speak to you on a personal level. When it comes to finding furniture that will work well in any area of your home you want to use classic pieces that will not go out of trend. Having these staple pieces will make decorating around them a breeze. The following 10 furniture pieces are a staple in any area of the home as they never go out of style. A statement rug doesn’t have to have pattern instead you can choose a statement rug that is in a bold color. This will provide the same effect a patterned rug offers but in a more subtle form. 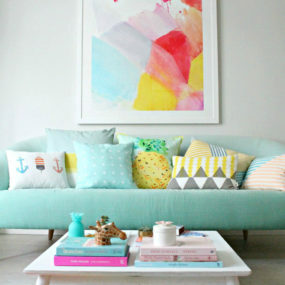 You can also choose to add other pieces in the color for a cohesive look. Statement rugs have been around for hundreds of years, especially oriental ones. Rugs are great to have in any space because of how easy they are to work with. A statement rug can make the space appear larger while still providing color and pattern. There is an elegance that comes with a tufted headboard. It is elegant and classic which makes it easy to pair with other furniture items such as a tufted ottoman. These paired together will give you the look you need to enhance the space. Consider also adding a chandelier for an added touch of elegance. For a while headboard were not considered on trend. In fact, it was seen as a piece of furniture you did not need. However, a tufted headboard has always been a classic you should have. Its undeniable style and beauty has ensured this furniture piece remains a classic for many more years to come. 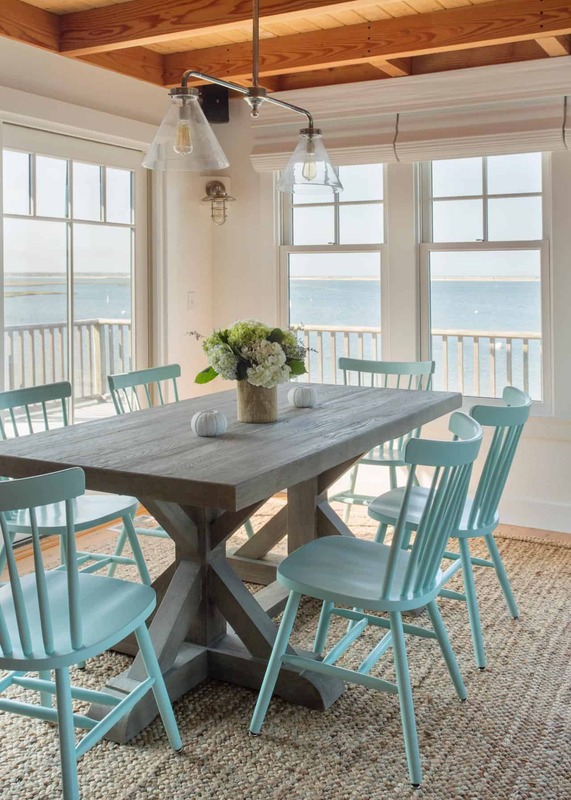 Add blue chairs to your trestle table to create a coastal feel that makes the space seem more space while still providing color. It is simple yet very eye-catching. Pair it with an intricate lamp for an added touch of interest. Trestle tables have always been a staple in a home as they actually originated from the medieval times. During the medieval times, trestle tables were considered the main dining table area. Now they are considered simple wooden tables that work perfectly in any space and with any chair color pairing. There is something very regal about a canopy bed. It adds beauty and elegance anywhere it is placed and with any decor. Decorate it in light tones for a feminine feel or decorate it in darker for an edgy take on the canopy style. Canopy beds were actually created with the idea of providing privacy and warmth. However, they have recently become the ideal bed for women as they have a feminine touch to them that is difficult to replicate. Adding curtains gives the bed a soft, romantic touch while leaving them bare gives the bedroom to work well with other furniture items and style be stylish. 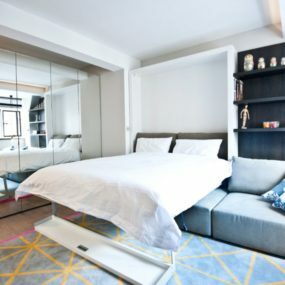 Lounge chairs are not only wonderful for the living room space they work just as well in a bedroom space as well. Inf act, we think they work even better in the bedroom as they provide an additional seating area that is comfortable enough to lay down in. Lounge chairs have been around for numerous different centuries. They originated in accent Egypt as they were considered daybed and let’s not forget the Greeks and Romans loved them too. These chairs have proven over time that they are a must-have in any living room space. They also come in multiple different colors and aesthetics. Which makes adding them in the home a dream. If you want to give your clear chairs an upgraded look consider adding cushions in a rich color. Doing so will create a contrast between the two creating an elegant upscale twist. Having a simple table attached to them will further enhance the appeal. 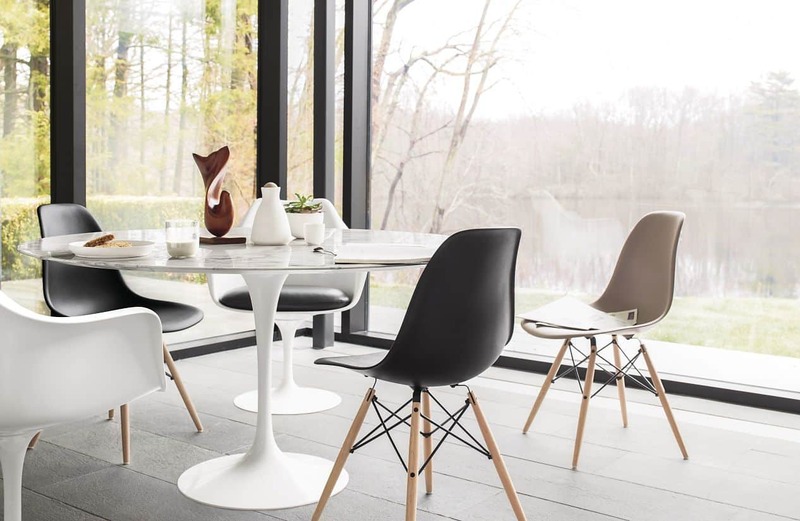 Clear dining tables or ghost chairs have always been a favorite and a classic. Add them to a dark wooden table for an interesting contrast. 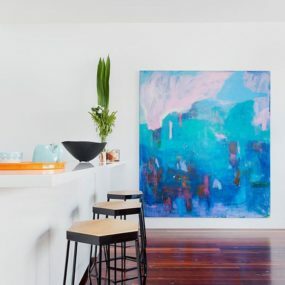 The contrast between the two will make the room appear larger as well as more expansive. This will work well in any room, especially a small dining room. Get creative with your built-in furniture to create the ultimate unique space that works best for you and your needs. 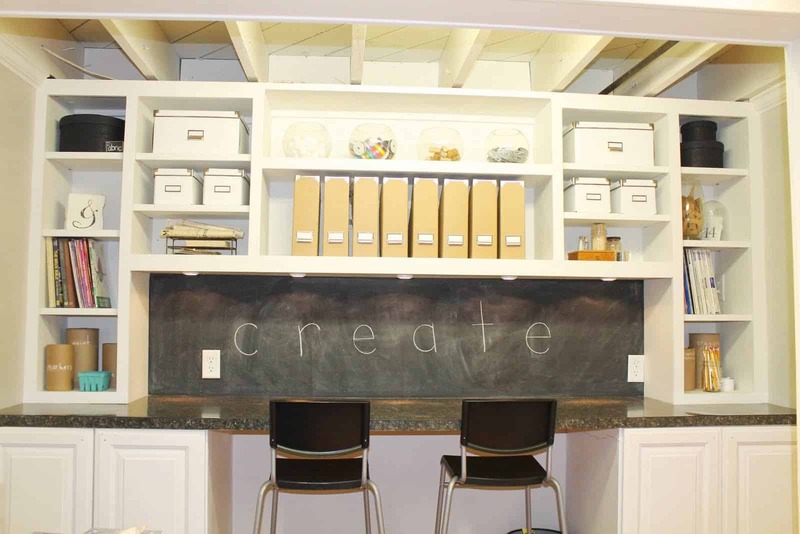 A chalkboard wall incorporated is always an excellent idea as it is multifunctional and versatile to any space. Built-in furniture is great for large rooms and spaces. However, the negative aspect is that built-in means there is no movability. This can be a turn off for many homeowners, but the truth is they are a classic piece of furniture. Built-in furniture works well in numerous different areas and gives the room character. You do not need to have one accent chair when you can actually have two. Two accent chairs will make a bigger impact in the space then one would. Consider having the chairs side by side or across from each other from a bigger impact. 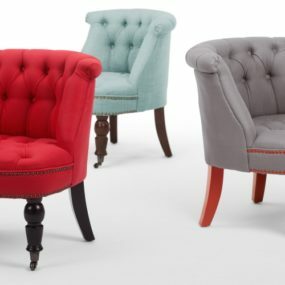 Yes, its true accent chairs have been around for hundreds of years. They are a classic staple that will continue to be part of decorating a home for numerous more years. Accent chairs happen to be a favorite because of how well they can transform a space. Adding an accent chair can take any space from “boring” to “modern and trendy” very easily. Get a platform bed that is in a neutral color this will allow you to fill the room with other furniture of multiple colors. 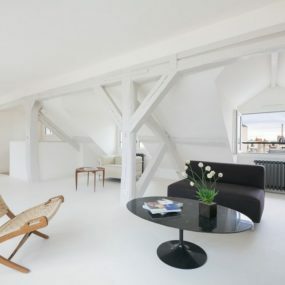 Or you can choose to keep the entire room neutral for a softer palette that is easy to change whenever you desire. If you are not a fan of canopy beds there is always the option of having a platform bed. Platform beds were essentially one of the very first forms of bed designs. So much so that by definition they are believed to be a mattress sitting on a raised platform. Platform beds, work great because of how simple they are. What this means is decorating around them does not take much effort. Tulip tables are great additions to awkward corners because they take up the space nicely while giving the corner purpose. Pair it with neutral chairs for an effortless appeal that flows in the space very well. Ensure the chairs are simple. Tulip tables have been known for being the perfect table that does not interfere with your seating arrangements as there aren’t any legs on the table per say. The table is designed as an upside-down tulip. 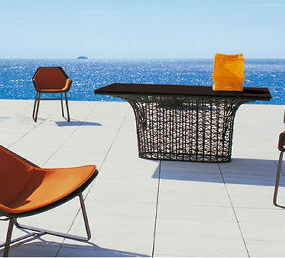 Which means it can be paired with numerous different chairs of multiple different styles and colors. Its versatility is endless. If you happen to have any of these pieces in your home already let us know which other class furniture piece you are interested in incorporating in the comments below.